From about the 12th century onwards, English sovereigns used the style "Highness". They shared this style with only five other monarchs in Europe: the Holy Roman Emperor and the Kings of France, Castile, Aragon and Portugal. Around 1519, however, the Holy Roman Emperor and the King of France assumed the style "Majesty"; Henry VIII copied them. The style "Majesty" had previously appeared in England, but did not become common until Henry VIII's reign. "Majesty", however, was not used exclusively; it arbitrarily alternated with both "Highness" and "Grace", even in official documents. For example, one legal judgment issued by Henry VIII uses all three indiscriminately; Article 15 begins with "the Kinges Highness hath ordered", Article 16 with "the Kinges Majestie" and Article 17 with "the Kinges Grace". Scottish sovereigns were addressed as "Your Grace", rather than "Majesty", in pre-Union Scotland. During the reign of James VI of Scots and I of England and Ireland, however, "Majesty" became the official title, to the exclusion of others. In full the sovereign is referred to as "His [Her] Most Gracious Majesty". 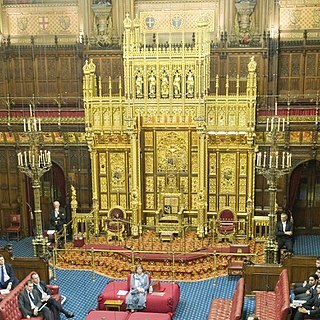 In Acts of Parliament the phrase "The King's [Queen's] Most Excellent Majesty" is used in the enacting clause. In treaties and on British passports, the sovereign is referred to as "His [Her] Britannic Majesty" as to differentiate from foreign sovereigns. The Anglo-Saxon kings of England used numerous different styles, including "King of the Anglo-Saxons" and "King of the English". Grander variations were adopted by some monarchs; for example, Edred used "King of the Anglo-Saxons, Northumbrians, pagans and Britons". These styles were sometimes accompanied by extravagant epithets; for instance, Æthelstan was "King of the English, raised by the right hand of the Almighty to the Throne of the whole Kingdom of Britain". In Scotland the preferred title of the monarch was "King/Queen of Scots" rather than "of Scotland" (although the latter was by no means unknown). William I, the first Norman monarch of England, used the simple "King of the English". His successor, William II, was the first consistently to use "by the Grace of God". Henry I added "Duke of the Normans" in 1121, though he had seized Normandy from his brother Robert in 1106. In 1152 Henry II acquired many further French possessions through his marriage to Eleanor of Aquitaine; soon thereafter, he added "Duke of the Aquitanians" and "Count of the Angevins" to his style. "King of the English", "Duke of the Normans", "Duke of the Aquitanians" and "Count of the Angevins" remained in use until King John ascended the Throne in 1199, when they changed to "King of England", "Duke of Normandy", "Duke of Aquitaine" and "Count of Anjou", respectively. John, furthermore, was already the titular ruler of Ireland; therefore, he added "Lord of Ireland" to his style. In 1204 England lost both Normandy and Anjou. Nevertheless, they did not renounce the associated titles until 1259. French territory once again became the subject of dispute after the death of the French King Charles IV in 1328. Edward III claimed the French Throne, arguing that it was to pass to him through his mother Isabella, Charles IV's sister. In France, however, it was asserted that the Throne could not pass to or through a woman. Edward III began to use the title "King of France" (dropping "Duke of Aquitaine") after 1337. In 1340 he entered France, where he was publicly proclaimed King. In 1360, however, he agreed to relinquish his title to the French claimant. Though he stopped using the title in legal documents, he did not formally exchange letters confirming the renunciation with the French King. In 1369 Edward III resumed the title, claiming that the French had breached their treaty. Henry V invaded France, but agreed to the Treaty of Troyes, whereby he was recognised as the Heir and Regent of France, in 1420. He died in 1422, to be succeeded by his infant son, who became Henry VI. Shortly after his accession, Henry VI also inherited the French Throne. By the 1450s, however, England had lost all its territories in France, with the exception of Calais. The claim to the title of "King of France" was nonetheless not relinquished until the creation of the United Kingdom of Great Britain and Ireland in 1801, by which time the French monarchy had been overthrown by the French Revolution. After 1422 the royal style remained unchanged for almost a century. Numerous amendments, however, were effected during Henry VIII's reign. After Henry wrote a book against the Protestant Martin Luther, Pope Leo X rewarded him by granting the title "Defender of the Faith". 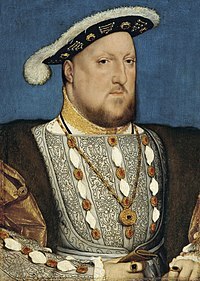 After disagreements with the Papacy over his marriage to Catherine of Aragon, Henry VIII broke away from the Roman Catholic Church, establishing the Church of England in 1533. Pope Paul III rescinded the grant of the title "Defender of the Faith", but Henry continued to use it. In 1535 Henry added "of the Church of England in Earth, under Jesus Christ, Supreme Head" to his style in 1535; a reference to the Church of Ireland was added in 1536. Meanwhile, advised that many Irish people regarded the pope as the true temporal authority in their nation, with the king of England acting as a mere representative, Henry VIII changed "Lord of Ireland" to "King of Ireland" in 1542. All changes made by Henry VIII were confirmed by an English Act of Parliament passed in 1544. Mary I, Henry VIII's Catholic daughter, omitted "of the Church of England and also of Ireland in Earth Supreme Head" in 1553, replacing it with "etc. ", but the phrase remained part of the official style until an Act of Parliament to the contrary was passed in 1555. In the meantime Mary had married the Spanish prince Philip. The monarchs adopted a joint style, "King and Queen of England and France, Naples, Jerusalem and Ireland, Defenders of the Faith, Princes of Spain and Sicily, Archdukes of Austria, Dukes of Milan, Burgundy and Brabant, Count and Countess of Habsburg, Flanders and Tyrol", acknowledging both Mary's and Philip's titles. Further changes were made after Philip became King of Spain and Sicily upon his father's abdication. When the Protestant Elizabeth I ascended the Throne, she used the simpler "Queen of England, France and Ireland, Defender of the Faith, etc.". The "etc." was added in anticipation of a restoration of the supremacy phrase, which never actually occurred. After James VI, who was already King in Scotland, ascended the English Throne, the official style changed to "King of England, Scotland, France and Ireland, Defender of the Faith, etc. "; his mother Mary, Queen of Scots, had already laid claim to these titles (in a different order, jointly with Francis II of France, then with the King's father, Lord Darnley), but she was beheaded by her Protestant opponent, Elizabeth I. In 1604 James VI made a proclamation permitting the use of "King of Great Britain" instead of "King of England and Scotland". This new style, though commonly used to refer to the King, was never statutory; therefore, it did not appear on legal instruments. It did, however, appear on the inscriptions on coins. The kingdoms of England and Scotland were formally united into a single Kingdom of Great Britain in 1707 by the Act of Union. Queen Anne consequently assumed the style "Queen of Great Britain, France and Ireland, Defender of the Faith, etc.". It remained in use until 1801, when Great Britain and Ireland combined to become the United Kingdom. George III used the opportunity to drop both the reference to France and "etc." from the style. It was suggested to him that he assume the title "Emperor", but he rejected the proposal. Instead, the style became "King of the United Kingdom of Great Britain and Ireland, Defender of the Faith". In 1876 "Empress of India" was added to Queen Victoria's titles by the Royal Titles Act 1876, so that the Queen of the United Kingdom, the ruler of a vast empire, would not be outranked by her own daughter who had married the heir to the German Empire (an empire by the necessity of establishing a federal monarchy in which several kings wished to retain their royal titles despite their subjugation to a different monarchy). Her successor, Edward VII, changed the style to reflect the United Kingdom's other colonial possessions, adding "and of the British Dominions beyond the Seas" after "Ireland". In general usage the monarch came to be called the King-Emperor, especially in the Crown's overseas possessions and in British India and the princely states. In 1922 the Irish Free State gained independence. In 1927 the Royal and Parliamentary Titles Act 1927 changed the description "of the United Kingdom of Great Britain and Ireland and of the British Dominions beyond the Seas" to "of Great Britain, Ireland and the British Dominions beyond the Seas". The 1927 Act was also significant for opening the door to dominions (later Commonwealth realms) having the right to determine their own style and title for the sovereign, a right which was first exercised in 1953. The designation "Emperor of India" was dropped from the royal style in 1948 after the independence of India and Pakistan a year earlier, even though King George VI remained king of the dominion of India until 1950, when it became a republic within the Commonwealth. The dominion of Pakistan existed between 1947 and 1956, when it too became a republic within the Commonwealth. Similarly, although the republic of Ireland was constituted in 1949, "Great Britain and Ireland" was not replaced with "Great Britain and Northern Ireland" until 1953. In the same year the phrase "Head of the Commonwealth" was also added, and "British Dominions beyond the Seas" was replaced with "other Realms and Territories". Thus, the style of the present sovereign is "By the Grace of God, of the United Kingdom of Great Britain and Northern Ireland and of Her other Realms and Territories Queen, Head of the Commonwealth, Defender of the Faith". Official styles of sovereigns are shown below. Changes that only take into account the gender of the sovereign (such as replacing "King" with "Queen") are not indicated. Heads of state who did not rule as kings or as queens are shown in italics. ^a In 1521 English replaced Latin as the official language of the regnal style. The earliest recorded style of the monarchs of what is now Scotland varies: sometimes it is "King of the Picts", sometimes, "King of Fortriu", and sometimes "King of Alba". Only after 900 does the latter title become standard. From the reign of David I, the title became either "rex Scottorum" ("King of Scots") or "rex Scotiae" ("King of Scotland"). The former term was the most common, but the latter was used sometimes. James VI and I proclaimed himself "King of Great Brittaine, France and Ireland” by Royal Proclamation, but this was not accepted by the English Parliament. The last three monarchs of Scotland—William II (William III of England), Mary II and Anne—all used "King/Queen of Scotland" in preference to "of Scots". ^ a b c d "No. 39873". The London Gazette (11th supplement). 26 May 1953. p. 3023. Proclamation of 28 May 1953 made in accordance with the Royal Titles Act 1953. ^ Chadwick, H. Munro (1924). The Origin of the English Nation. Cambridge, England: Cambridge University Press. p. 54. ^ a b c "No. 38330". The London Gazette. 22 June 1948. p. 3647. Royal Proclamation of 22 June 1948, made in accordance with the Indian Independence Act 1947, 10 & 11 GEO. 6. CH. 30. ('Section 7: ...(2)The assent of the Parliament of the United Kingdom is hereby given to the omission from the Royal Style and Titles of the words " Indiae Imperator " and the words " Emperor of India " and to the issue by His Majesty for that purpose of His Royal Proclamation under the Great Seal of the Realm.'). According to this Royal Proclamation, the King retained the Style and Titles 'George VI by the Grace of God, of Great Britain, Ireland and the British Dominions beyond the Seas King, Defender of the Faith', and he thus remained King of the various Dominions, including India and Pakistan, though these two (and others) eventually chose to abandon their monarchies and became republics. ^ "Richard himself was stiled Princeps Cestriæ, Prince of Chester. But this title was but of small duration: no longer, than till Henry the fourth repeal’d the Laws of the said Parliament; for then it became a County Palatine again, and retains that Prerogative to this day..." Cheshire – Britannia. Written by William Camden. ^ a b c d England: Kings and Queens: 1066-1649. Retrieved 11-03-2010. ^ England: Royal Styles: 1553-1558. Retrieved 11-03-2010. ^ Burke's Guide to the Royal Family. London: Burke's Peerage Limited. 1973. p. 206. ISBN 0-220-66222-3. A monarchical system of government existed in Ireland from ancient times until—for what became the Republic of Ireland—the early twentieth century. Northern Ireland, as part of the United Kingdom, remains under a monarchical system of government. The Gaelic kingdoms of Ireland ended with the Norman invasion of Ireland, when the kingdom became a fief of the Holy See under the Lordship of the King of England. This lasted until the Parliament of Ireland conferred the crown of Ireland upon King Henry VIII of England during the English Reformation. The monarch of England held the crowns of England and Ireland in a personal union. The Union of the Crowns in 1603 expanded the personal union to include Scotland. The personal union between England and Scotland became a political union with the enactments of the Acts of Union 1707, which created the Kingdom of Great Britain. The crowns of Great Britain and Ireland remained in personal union until it was ended by the Acts of Union 1800, which united Ireland and Great Britain into the United Kingdom of Great Britain and Ireland from January 1801 until December 1922. Emperor/Empress of India, shortened to King-Emperor or Queen-Empress, was a title used by British monarchs from 1 May 1876 to 22 June 1948. The Emperor/Empress's image was used to signify British authority — his/her profile, for instance, appearing on currency, in government buildings, railway stations, courts, on statues etc. "God Save the King" was the former national anthem of British India. Oaths of allegiance were made to the Emperor/Empress and his/her lawful successors by the Governors-General, princes, governors, commissioners in India in events such as Imperial Durbars. Elizabeth II has held numerous titles and honours, both during and before her time as monarch of each of her Commonwealth realms. Each is listed below; where two dates are shown, the first indicates the date of receiving the title or award, and the second indicates the date of its loss or renunciation. Supreme Governor of the Church of England is a title held by the British monarch which signifies titular leadership over the Church of England. Although the monarch's authority over the Church of England is largely ceremonial, the position is still very relevant to the church and is mostly observed in a symbolic capacity. As the Supreme Governor, the monarch formally appoints high-ranking members of the church on the advice of the Prime Minister of the United Kingdom, who is in turn advised by church leaders. 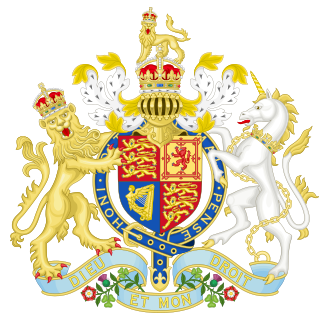 The Great Seal of the Realm or Great Seal of the United Kingdom of Great Britain and Northern Ireland is a seal that is used to symbolise the Sovereign's approval of important state documents. The Royal and Parliamentary Titles Act 1927 was an act of the Parliament of the United Kingdom that authorised the alteration of the British monarch's royal style and titles, and altered the formal name of the British Parliament, in recognition of most of Ireland separating from the United Kingdom as the Irish Free State. It received royal assent on 12 April 1927. 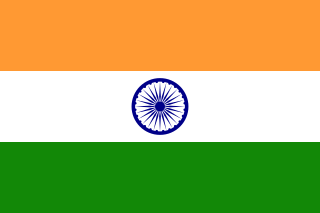 India was an independent dominion in the British Commonwealth of Nations with King George VI as the head of state between gaining independence from the United Kingdom on 15 August 1947 and the proclamation of a republic on 26 January 1950. It was created by the Indian Independence Act 1947 and was transformed into the Republic of India by the promulgation of the Constitution of India in 1950. Queen Elizabeth II was proclaimed sovereign throughout her realms after her father, King George VI, died in the night between 5 and 6 February 1952, while Elizabeth was in Kenya. Proclamations were made in different realms on 6, 7, 8, and 11 February. The line of succession was identical in all the Commonwealth realms, but the royal title as proclaimed was not the same in all of them. The Crown of Ireland Act 1542 is an Act of the Parliament of Ireland which created the title of King of Ireland for King Henry VIII of England and his successors, who previously ruled the island as Lord of Ireland. Most Gracious Majesty is a form of address in the United Kingdom. It is an elaborate version of Your Majesty and is only used in the most formal of occasions.